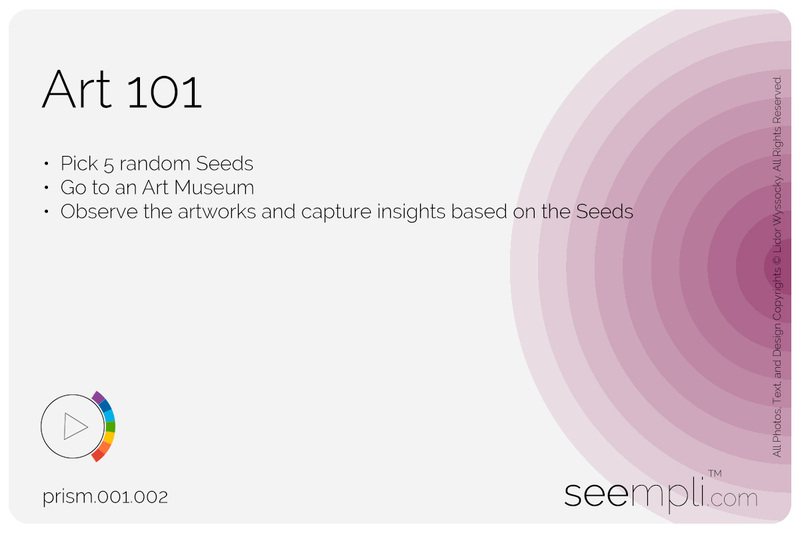 Five days ago I visited the Israel Museum in Jerusalem with the Art 101 Prism and five random Seeds. My goal was to explore the artworks using the Seeds — to see them through these magical glasses. Today we are concluding the mini-series of five posts dedicated to this visit. I chose to conclude this exploration activity with a special Insight inspired by a special Seed — the Little Treasure Seed. 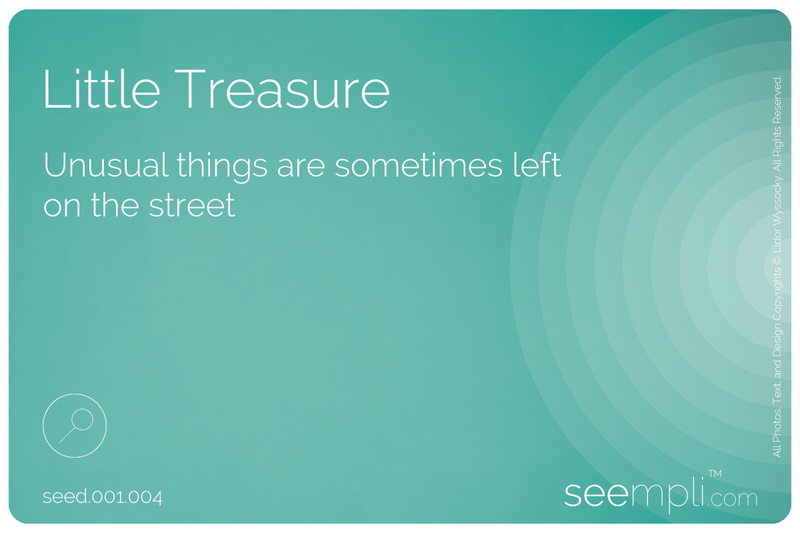 The Little Treasure Seed is an invitation to find unusual things on the Street. As I was playing in a museum, I took the liberty to change the definition slightly and adapt it to the location I was in. But the challenge was greater than I had expected as the museum is full of unusual things by definition. So I had to continue looking for an Insight that will capture not just an unusual thing, but the essence — the spirit — of something unusual. Here’s what I came up with. 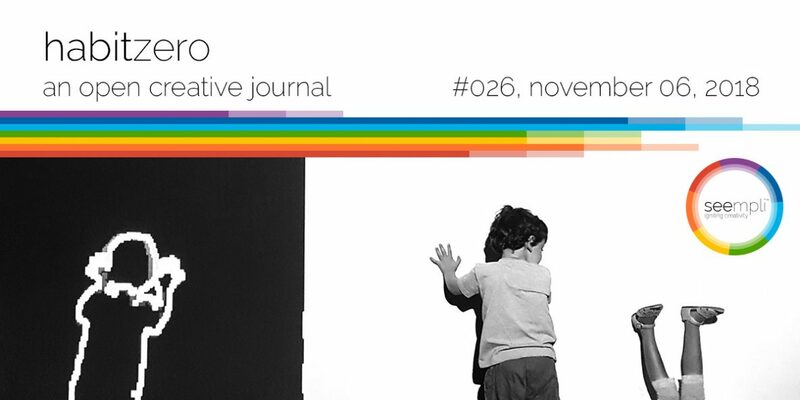 Let’s start with the most important thing: the kid looking down is not part of the artwork — unless he is. That’s my youngest child dancing to the sounds of electronic music in an interactive video installation created by Ronny Ziss and Orian Sharoni. 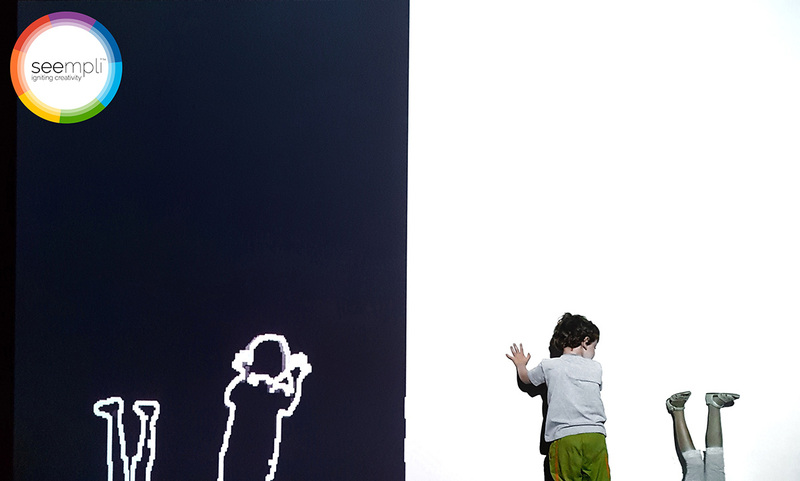 The artwork is called Echo You, and the coolest thing about it is that while you move in front of the projected video, your shadow drops on the wall, and at the same time, a negative shadow echoing your movements is being generated on the second half of the wall. Needless to say that this is a great attraction for kids and adults alike. It’s a happy artwork that invites the audience to be part of the installation — to experiment art. That is what any artwork aspires to do. But this one took it literally and made it happen big time. Finding this artwork was like finding a little treasure. It was so unique among all the “serious art” we saw around. But that’s not why I captured this Insight under the title Little Treasure. It was a mid-week vacation day; we went to the museum hoping that we will experience art while keeping our child interested and engaged enough. And then this artwork showed up and instead of us experiencing and him rushing off to find something better to do, it was he who was in focus — he was experiencing this art as only a child can, with no limitation or inhibition. He just had the purest fun possible. When other kids joined, they became as interesting as the artwork itself (as I tried to capture in my Insight). So, this installation was a treasure for us adults, but even more so for our child. Watching him dancing, experiencing, and discovering was a treasure by itself. And when other kids joined the party, they became the unexpected little treasures that my child found. I love museums. The combination of the atmosphere, the sounds, and the overloading of associations and feelings triggered by the art makes it a surreal experience. If you let yourself flow with it and submerge in it, it can be like visiting another dimension — where anything can happen. My visit to the museum a week ago helped me take this notion even further. By looking at the artworks through the Seeds, I became an active participant. Instead of just looking at the artworks, I was oriented to seeing my own interpretation in them. I avoided reading the description of the artworks and I left room for interacting with them. I turned this visit from an intellectual experience to an emotional experience. And at the same time, I discovered artworks I wouldn’t have seen normally. The exploration mindset helped me broaden my field of view and to find things that are normally in my blind spot. I can’t wait to my next museum exploration. Till then, we are back in the real-world tomorrow. And it will not be less surprising. Go to an art museum and use it as a portal to another dimension. Let yourself submerge in the experience. Reality can wait.